On November 6, Donald, teammates, cheerleaders, and members of the Rams staff visited Sumac Elementary School classrooms to personalize holiday cards of appreciation with students and teachers. During his surprise visits, Donald tried to interact with nearly every student in each class. When he wasn’t helping students brainstorm ways to show their appreciation for the men and women that protect our country, he was fulfilling many student’s much-desired autograph and photo requests. 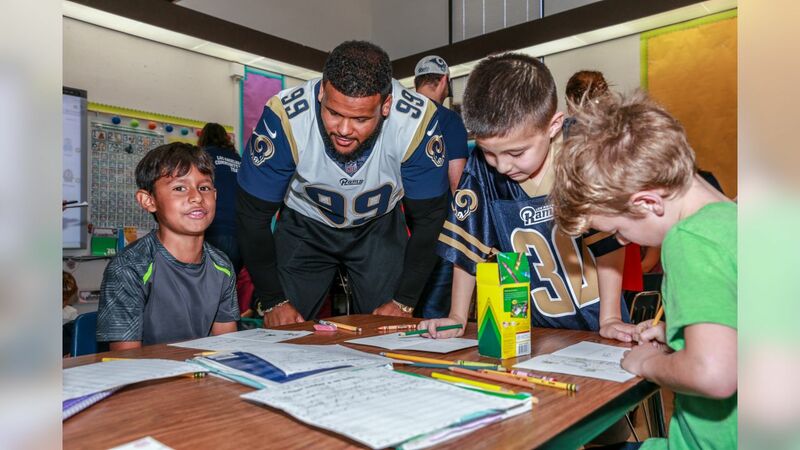 Check out photos of this week's Community Impact Player of the Week, Aaron Donald, from Holiday for Heroes. Bill Walrath, a Board member for the LA region’s American Red Cross, believes that Donald’s visit to Sumac Elementary provided tremendous excitement and perspective for students. 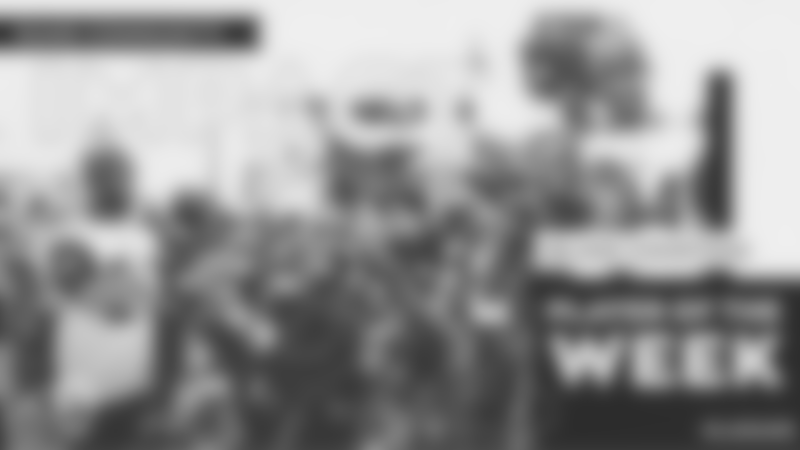 As Donald would humbly redirect attention away from himself and encourage students to focus their efforts on acknowledging our country’s “true heroes,” Walrath believes he shed a positive and educational light on our nation’s service members and their sacrifices. In addition, Donald recently paid a visit to Brotherhood Crusade in South Los Angeles to interact with youth and recognize Karim Webb as a Rams Community Quarterback Award winner for his strong leadership abilities and passion for bettering his community. Donald presented Webb with a check to further Brotherhood Crusade’s mission and informed him that they will receive an on-field recognition at an upcoming home game. Footage from Donald’s visit to Sumac Elementary for the Rams ‘Holidays for Heroes’ campaign can be viewed here. For more information about the Rams community outreach initiatives, please visit www.therams.com/community.